U19 Bundesliga Süd/Südwest 2013/2014 winner with Hoffenheim. 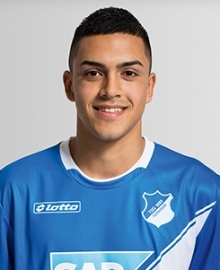 Nadiem Amiri joined 1899 Hoffenheim youth academy in 2012 from Waldhof Mannheim. He won the U19 Bundesliga in 2014 and was then welcomed into the first team squad during 2014/2015 pre-season. He made his Bundesliga debut on 7 February 2015 against VfL Wolfsburg in a 3-0 away defeat. He is also a regular German youth international and currently represents “Die Mannschaft” U19 team.